Nice smell. Durable. Long Cloths. daily. face. Toilet Cloth. Hands. The seniors and injured in my family use the washcloths daily. Good for hands, face, feet and toilet cloth (after tissue use). by Matt from Alexandria, Va. I am profoundly disabled and use Attends daily. It is good for thorough cleansing and affordable but it's wise to use a good skin protectant as frequent use causes drying. I suggest using Aloe Vesta in conjunction with Attends. Protective. Comfortable. Durable. Longer than Baby Wipes. Long Range Cleaning . cloths are too dry. cloths are too dry. Not Moist Like Baby Wipes. Not easy to separate. Good for personal hygiene care in between baths. Good for cleansing skin during wound care. Good for cleaning nose and ears. Good for keeping Trachs in throats clean and for cleaning neck and throat around inner cannula. Good for spot cleanings. Good for Peg Cleanings and Peg site care. Great for all types of cleanings from Wipes, but needs some extra moistening at times. I don't like it when the wipes are too dry. Caregiver. Elderly. Adults or children. I purchased this product for my mom, she finds that they are handy to have for quick clean-ups or when she was confined to bed, or when she had limited mobility. Daily Use. Office. Emergencies. Travel. Home. This product does not cause irritation as when I used regular baby wipes before I found these. I have bought these for friends with babies to use on their little bottoms because they do not contain any thing that further hurts their bottoms or mine. Buy. Buy. Buy. 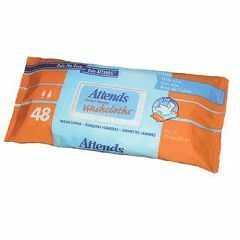 Use these along with some of the incontinence ointments and you have a good thing going even for those baby bottoms.